Our research is supported by the NIH, Pew Charitable Trust, McKnight Foundation, EJLB Foundation, Mathers Foundation, Whitehall Foundation, HFSP, EMBO, NARSAD, Cold Spring Harbor Laboratory and the Simons Foundation. Our goal is to understand the cellular basis of fundamental aspects of neural circuit architecture in the neocortex that process information and guide intelligent behavior. 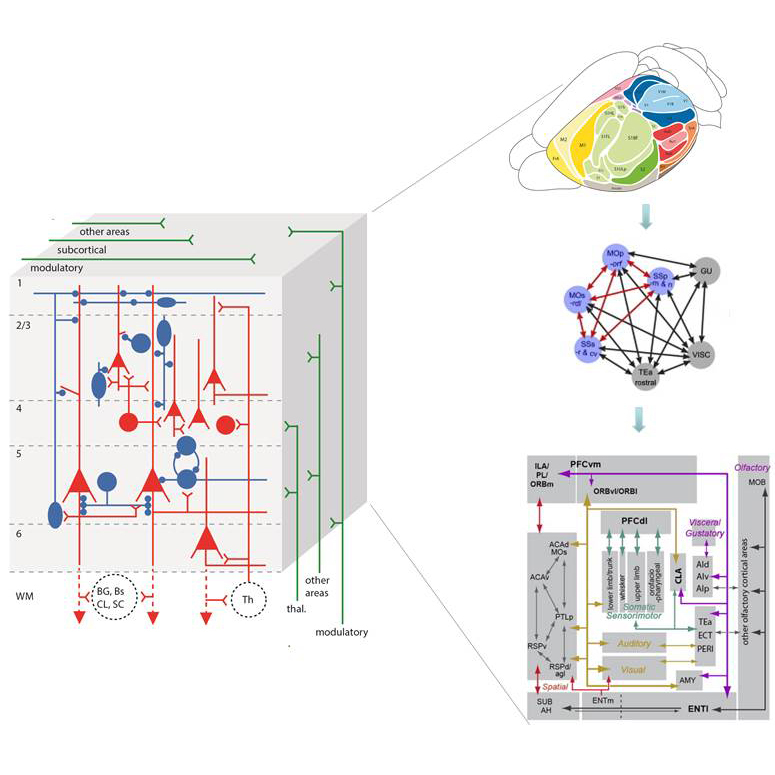 Our overarching hypothesis is that the basic inter-areal and inter-hemisphere cortical processing networks and cortical output channels are mediated by a large set of distinct glutamatergic pyramidal neuron types, and local circuit modules that shape functional neural ensembles are regulated by a diverse set of GABAergic interneuron types. We use state-of-the-art genetic and viral approaches to systematically discover and target cortical cell types. 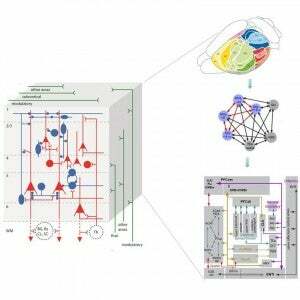 This provides the intellectual and technical starting point to explore cortical circuits by leveraging and integrating a full range of modern technologies. As the basic cortical circuit architecture is built through developmental genetic programs, we complement and synergize our studies of the assembly and functional organization of cortical circuits by integrating molecular, developmental genetic, anatomical, physiological approaches. Recently, we began to integrate our studies in the context of the assembly and function of motor cortex circuits that control volitional forelimb movements.